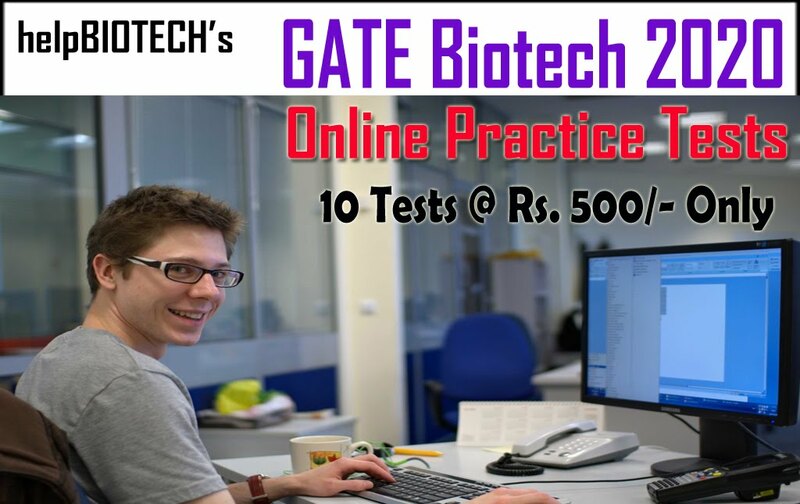 The helpBIOTECH and its Academy are the major force in Life Science Careers, have unparalleled record of success in helping students prepare for CSIR/GATE/ICMR/DBT-JRF/APSET Exams. Every Research Institute/University in India will have students from helpBIOTECH. 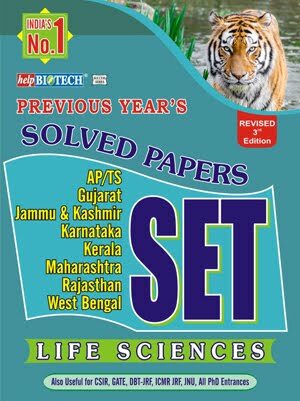 helpBIOTECH also maintains India’s No.1 site for Life Sciences/Biotech Career Information. Our Academy, South India's No.1 for CSIR/GATE/SET/MSc Coaching in term of Results. 33, 42, 46, 60, 62, 65, 67, 82, 97, 113, 116, 124 and Many ........ all India Ranks for CSIR 2017/18 Exam. Expert Study Material + Practice Tests. All 13 Units Covered + Part A General Aptitude. Faculty Dr. Rajasekhar and Dr. Nanda (Founders of helpBIOTECH) are our core strength and their dedication, ideas/technical experience helped so many students around the India. + 7 other Faculty from CCMB, University of Hyderabad, National Institute of Nutrition (NIN), IICT, ANGRAU and others. Classes – Clear Concept based and exam oriented teaching classes. Group Discussions along with Revision classes for important Part C Topics. Special attention given to each student, particularly for non English students. Study Material – Highly popular expert study material is updated and self explanatory. You will receive confirmatory call from helpBIOTECH Academy regarding money transfer and seat confirmation. No Need to send Registration form. b. A Demand Draft/Cheque drawn in favor of HELPBIOTECH ACADEMY, payable at Hyderabad from Any Bank. Please use Registration Form (Download) with all your details and SEND it by Speed Post or Courier service. You will get confirmatory call from helpBIOTECH regarding payment and seat confirmation after we receive registration form along with DD/cheque. Outstation Students : We have a plenty of hostels (both Women’s and Men’s) are available around coaching center. Cost will be around on sharing basis from Rs 4500 - 7000 (food + accommodation). You will get help to get suitable hostel. SMS 'CSIR Class' to 9652956019, We will call you back. can fees be paid in installments ?? can i register for only postal test series??? i want study material what the procedure..
demand draft in favour of whom....?? right now we are not offering weekend only batches. Very Good academy. Faculty treated very well. A lot of discussions during coaching. They have daily exams based on each topic. Raj Sir and Nanda Madam Thanks for your guidance. Before that no idea on Biochemistry and Genetics. Their approach for how to understand CSIR Exam and questions Great. Thanx Raj Sir. U have a branch in pune? WHEN WILL START YOU THE DECEMBER 2013 BATCH ? Sir.. What is the late date for registration of december clases..
Thanku helpbiotech.. And i want to know about the regisfration fee.. Should i pay 12000 or can i pay less than that for registration.. So that i can makeout some money.. Crash coureses are avialable sir? Can I get postal coaching? If so, What's the procedure? Download registration and with DD send it us. we will deliver in 2 days. if someone first buys material and afer some time applys for coaching, what amount he/she has to to pay for coaching??? You will get reduction in the total fee paid for class room coaching after buying the material. Right now, around 10% reduction in fee. Need exact amount call helpBIOTECH helpline. I just want to buy the study material for csir june 2014 how do I do that? also I want to know if the study material for GATE and DBT is same or not? U can use this material for GATE/DBT. Right now for CSIR June 2014, we are offering only Morning classes. i m a outsider student how cn i collect all d notes? Download registration form, send with DD, we deliver in 2 days to ur home. Do you have your coaching center in chennai ? We have only branches in Hyderabad only. I'm interested to join ur classroom coaching, r der any seats left? Last year I bought ur study material, will I get any concession in fee for that? 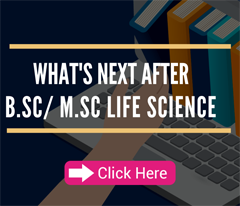 is it any new batch starting for life science?? R Der any crash course ?? can u tell me the crash course fee? I would like to join for your Dec CSIR exam. May I know when will you start the classes for it? I am an outside female student , can i get hostel facility too? please do reply. may I know , will you be covering all the three sections of exam paper during your 6 months coaching? Is the material offered by you sufficient or do we need to buy some books too? Do u have centres in chennai? Any week end coaching is avaialable? As Iam currently doing my masters? Right now no weekend batches. can you tell me if there is classroom coaching available for CSIR-NET life science in mumbai. I only want study material. What is the procedure? Hello, I am Pragada Sneha Pallavi and i am pursuing Pharm-D 6th year in Malla reddy institute of pharmaceutical sciences in hyderabad. 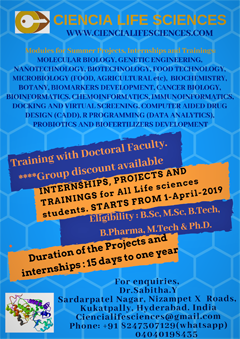 I am interested to join Phd in pharmacology CSIR, or in NIPER or BITS or anywhere in Hyderabad , and i am in need of coaching to crack the entrance exam. I have 76% aggregate in my Pharm-D and it’s a Master’s degree and i will be completing my graduation in july 2017.Please do help me and provide me the information to join Phd (part time/full time). We do offer correspondence course. 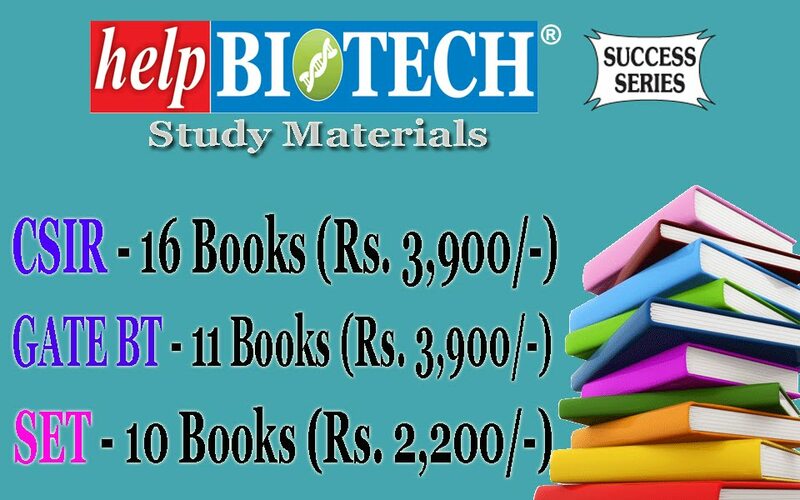 Please follow the link http://www.helpbiotechacademy.com/p/csir-study-material.html for more details.